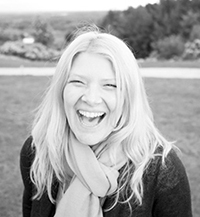 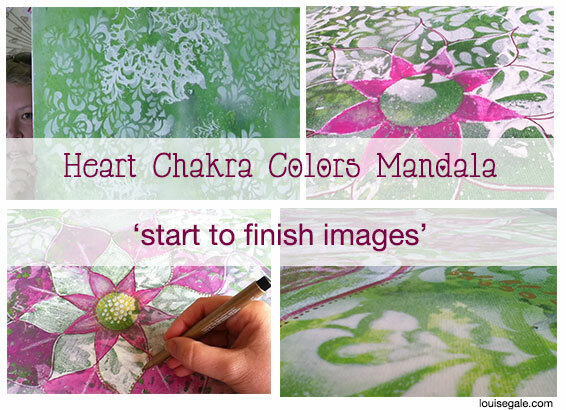 We are at mid-point in our Creative Color energy Workshop, working on wonderful balancing green and nurturing pink – the colors of the heart chakra. 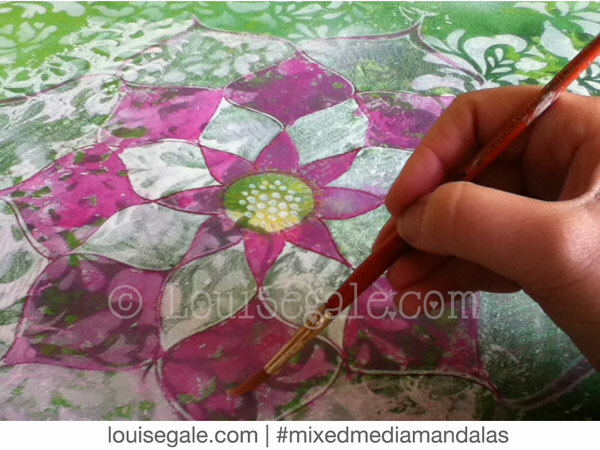 In preparation for the “Mixed Media Mandala” class I have been painting up a lovely collection in these two beautiful colors. 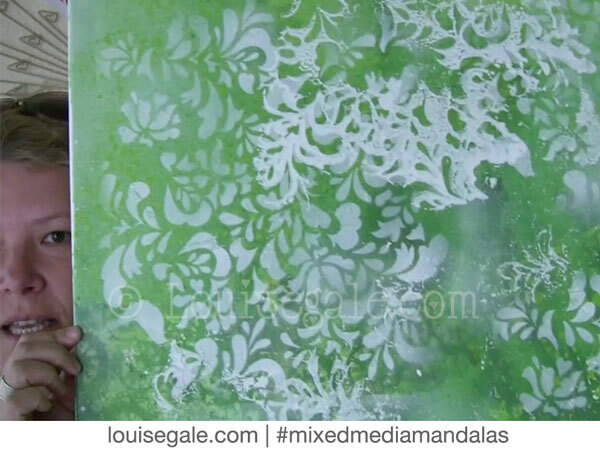 I showed you this lovely green sprayed background in the February “From the Studio” video, so here are some images from start to finish of the painting. 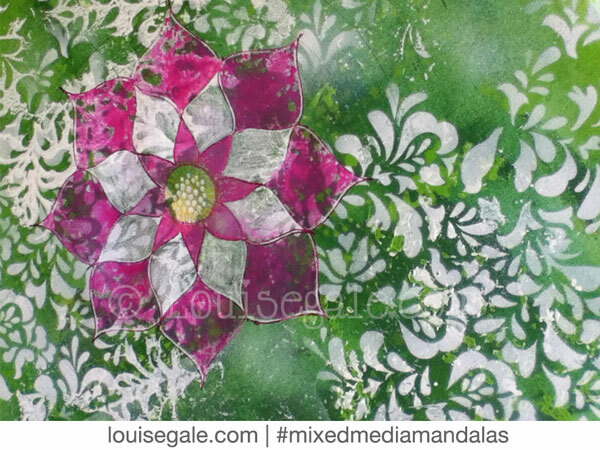 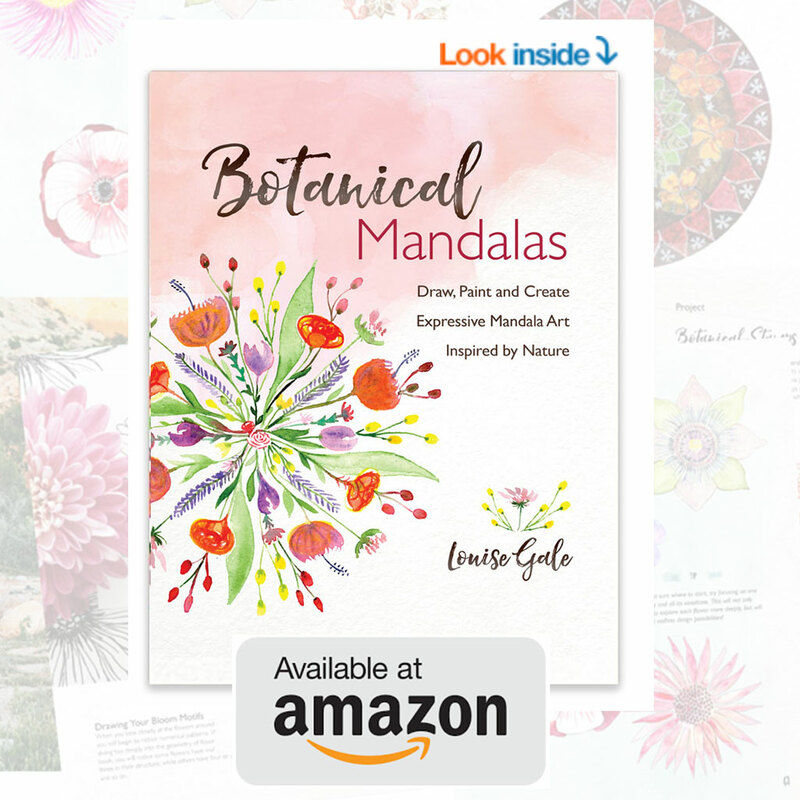 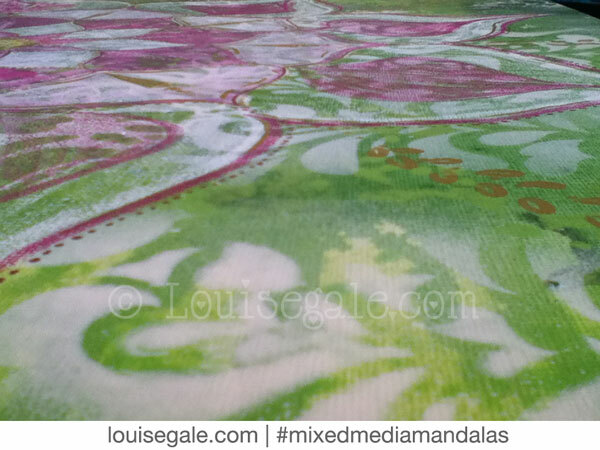 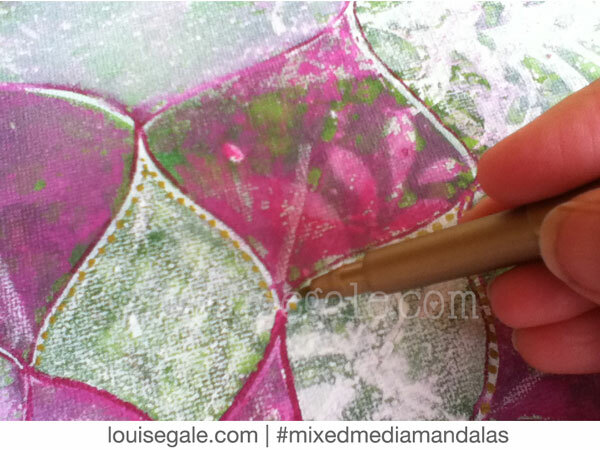 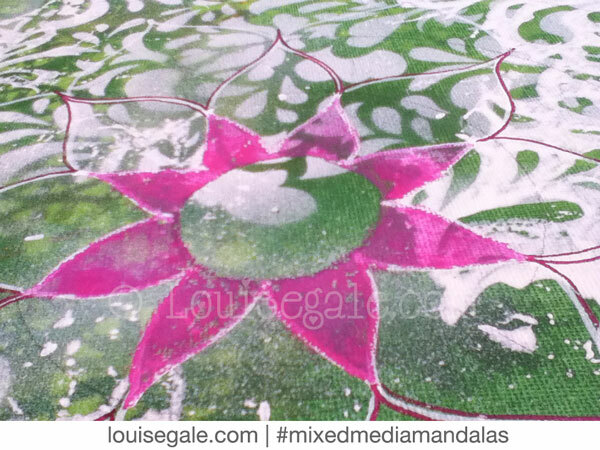 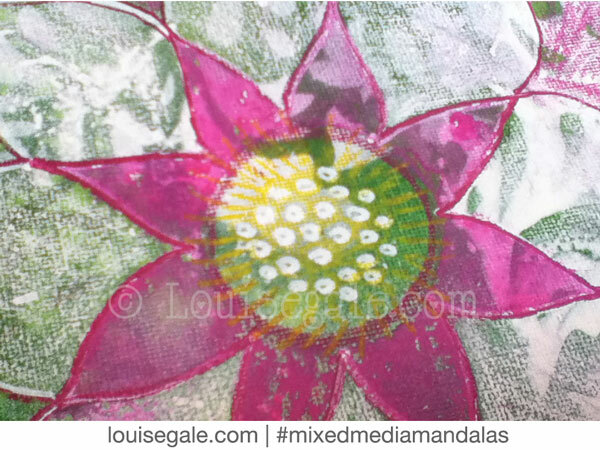 I am so very excited to be sharing inspiration, techniques and lots more in the *new* “Mixed Media Mandalas” online class. 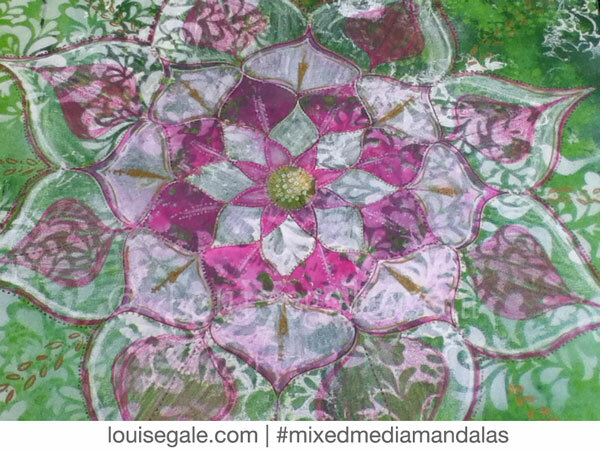 If you would like to explore the sacred circle and create your own mixed media mandala masterpiece to hang on the wall, this class is for you! 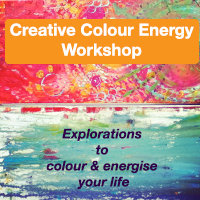 Click below for more information on the classes mentioned.